Hey everyone! 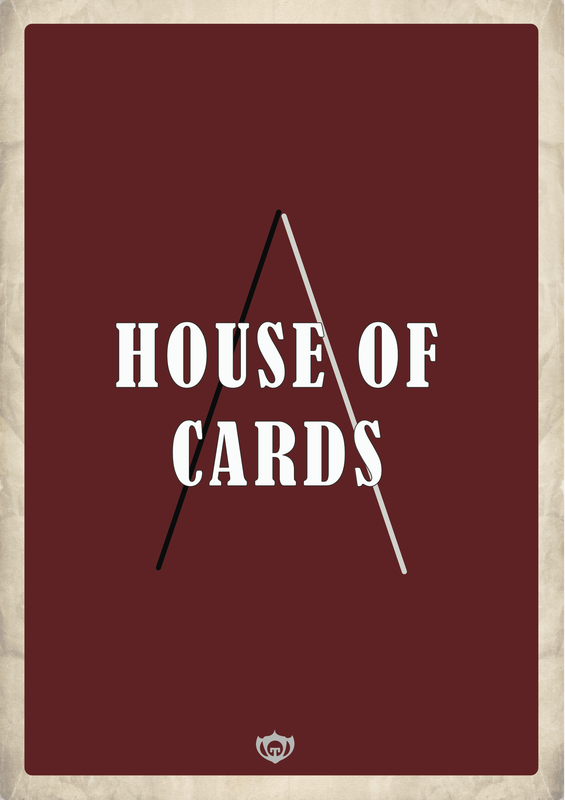 I finally got around to updating my House of Cards Minimalist Poster set. I tweaked a few things from the previous set to communicate the desired information a lot better. I’ve also posted these on my Society6 page, so for all those that have been waiting can finally purchase them. If you are new to viewing these, then I’ll give you a little background information. I have a deep love for the show House of Cards on Netflix. It is currently in its second season, but when I created my first set, I had just finished watching the first season for a second time. This show centers around Frank and Clair Underwood and their ascent in the world of politics. This show shows us the dirty underbelly that is probably happening in our own government right now. It is brutal, as well as fascinating. The characters are all various shades of grey. You often find yourself rooting for someone who is a darker shade than you may be comfortable with. It is by far one of the most amazing show I’ve ever seen and I suggest anyone that hasn’t seen it, you should. I hope you all like the updates. I’m much more satisfied with these. I will probably be adding main characters from the second season to this set soon. Over the past few months I’ve learned that the first few cracks at a project aren’t always the final version. I’ve been getting better and better at my craft as the time goes on and the more I learn.